Here is how you can manually create an inventory order with Pink Office. 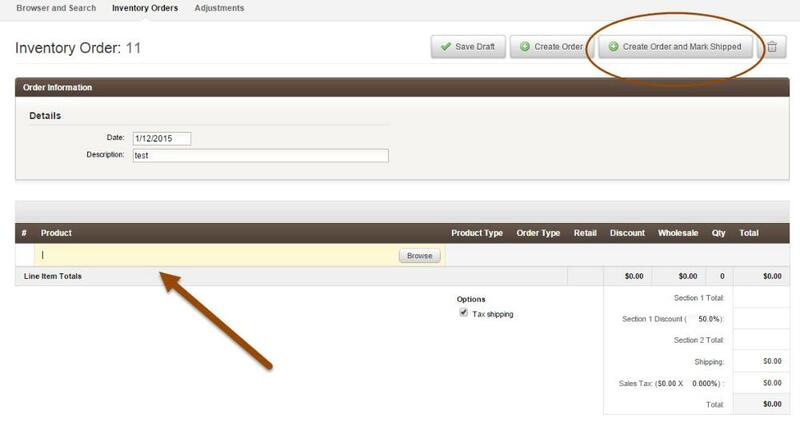 Once the order page pops up you can enter in your products and on hand amounts. When finished be sure to click on the link Create Order and Mark Shipped. This will move the products into your Inventory.